In graduate school this semester, I am taking an Administrative Ethics course. We discuss ethics in primarily the public sector, but in life in general. As an administrator, manager, or employee, we are faced with decisions on a daily basis that are defined as an ethical dilemma, but often we identify it in practical terms. Should I tell my boss that I know that a fellow employee is cheating on the time clock? What if a parent of a patient or student asks to be my friend on Facebook? Am I allowed to accept gifts from a patient, co-worker, or supervisor? What if a parent doesn't want their child to know they have had an amputation due to a car accident? What if you perceive a doctor to be pressuring a parent to remove life support? All of these and many more are examples of things we face on a daily basis. The decision you make says a lot about your character and morale. But we all have different morals. We all have different backgrounds that motivate us to make different decisions in any given situation. Our background, religion, culture, community is where we derive our individual morals from, but in the professional sphere we must analyze our morals to make sure we are making the best ethical decision for all parties involved. According to my textbook The Responsible Administrator written by Terry L. Cooper, there are many workable definitions of ethics. "The attempt to state and evaluate principles by which ethical problems may be solved." "The normative standards of conduct derived from the philosophical and religious traditions of society." Or my favorite, "Ethics is concerned about what is right, fair, just, or good; about what we ought to do, not just about what is the case or what is most acceptable or expedient." As a profession, the Child Life Council has a Code of Ethics that we all commit to abiding by when we decide to enter the field of Child Life. This code of ethics is for students, professors, professionals, etc. For some students, your program may not have a professional development course, or it may not be specified to the field of Child Life. I wanted to bring these to your attention, and maybe start some dialogue surrounding them. Principle 1 -- Individuals** shall hold paramount the welfare of the children and families whom they serve. Principle 2 -- Individuals shall strive to maintain objectivity, integrity and competence in fulfilling the mission, vision, values and operating principles of their profession. Principle 3 -- Individuals shall have an obligation to serve children and families, regardless of race, gender, religion, sexual orientation, economic status, values, national origin or disability. Principle 4 -- Individuals shall respect the privacy of children and families and shall maintain confidentiality of information concerning the children and their families with whom they work. Individuals shall ensure that the transmission of verbal and written communication is within the standards and requirements of the employer and local governing regulations. For professionals working in private practice, all written documentation must be stored in a locked and secure drawer or cabinet. Principle 5 -- Individuals shall promote the effectiveness of the child life profession by continuous efforts to improve professional services and practices provided in the diverse settings in which they work and in the community at large. Principle 6 -- Individuals shall continually seek knowledge and skills that will update and enhance their understanding of all relevant issues affecting the children and families they serve. Principle 7 -- Individuals engaged in study and research shall be guided by the conventions of scholarly inquiry and shall recognize their responsibility for ethical practice in research. Principle 8 -- Individuals have an obligation to engage only in those areas in which they are qualified and not to represent themselves otherwise, but to make appropriate referrals with due regard for the professional competencies of other members of the health team or of the community within which they work. Principle 9 -- Individuals shall act with respect for the duties, competencies and needs of their professional colleagues and shall maintain the utmost integrity in all interactions with the institutions or organizations that employ them. Principle 10 -- Individuals shall use integrity to assess and amend any personal relationships or situations that may interfere with their professional effectiveness, objectivity or otherwise negatively impact the children and families they serve. A minimum of two years following the conclusion of a professional role shall lapse before any personal relationship is permitted to develop with children or the members of families they serve. Principle 11 -- Individuals shall recognize that financial gain should never take precedence over the delivery of services. Principle 12 -- Individuals who are responsible for the supervision and training of others (i.e., staff, students, volunteers) shall assume responsibility for teaching ethical professional values and providing optimal learning experiences. Principle 13 -- Individuals shall refrain from illegal conduct in their professional practice of child life. *Unless modified, refers to infants, children and youth. **Individuals refers to child life professionals, including specialists, administrators, assistants, and students. What about you? Have you ever been faced with an ethical dilemma? As a student, have you ever worried over a decision that had a major impact? As an intern, did you ever question the status quo? As a professional, how do you go about solving ethical dilemmas? 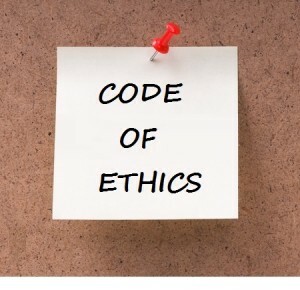 Did you even know this Code of Ethics existed? Loving your pictures and the creative and authentic way you have put your story across - you're an inspiration and I am following your journey - awesome work! Check us out! Leave us a comment! Looking for a Specific Child Life Topic? Visit Connect with Child Life: Confessions of Two Child Life Specialists's profile on Pinterest. Subscribe to our blog by email! Don't miss a new post!